Illustration and custom lettering for the cover of Where Did You Sleep Last Night by Lynn Crosbie, published by House of Anansi Press. 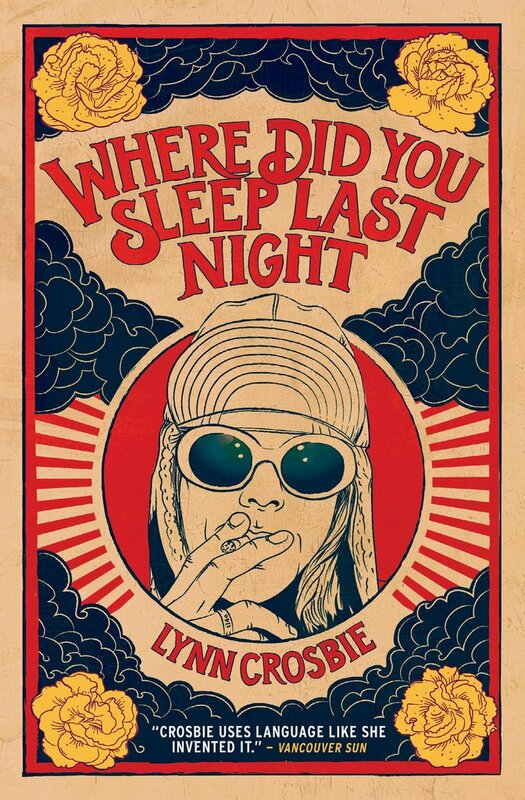 Lynn Crosbie’s 2015 novel, Where Did You Sleep Last Night, follows 16-year-old Evelyn Gray, whose love for Kurt Cobain is so strong that she brings the iconic ’90s musician back to life. The inspiration for the cover came from rock music posters from the 1970s and 1990s and photography of Kurt Cobain, with a dash of the mystical and otherworldly. Typography sketch and process for the book title. Initially the title had a question mark in it, which is visible in early versions of the lettering. Read about my process creating the cover in this interview with Quill & Quire.